Club President Connor Gale, the student that started it all, transfered into Paul Smith’s College in the Fall of 2016. He grew up watching his father on the ice, and had always strived to make him proud by someday playing himself. However, unlike most hockey players, he didn’t get a childhood start. It wasn’t until he was in his twenties that he attempted to take hockey from the pond to the rink. 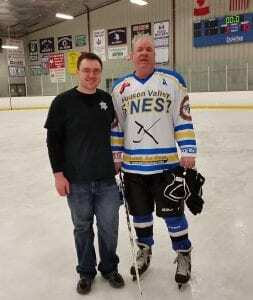 Connor was attending open hockey nights at the Mid Hudson Civic Center in Poughkeepsie whenever he had the chance, until one day he had the opportunity to join his father on the ice. The “Coaches Against Cancer Tournament” in Saugerties marked the first time in Connor’s life that he was able to play in a full-on hockey game, alongside his 55 year old father. After that he was able to periodically sub-in on his father’s team at the Mid Hudson Civic Center. Just as he was settling into his new life on the ice, Connor made the decision to go back to college. That’s not a quick and easy decision for anyone to make, but in this case Connor was choosing to step away from a good paying, full-time job, and weekly hockey with his dad, in the name of pursuing an education in wildlife science. His first year at Paul Smith’s was going amazingly for him, but his life was still missing something. After all of his hard work to make up for getting a late start to hockey, it was killing him that he wasn’t playing at all. 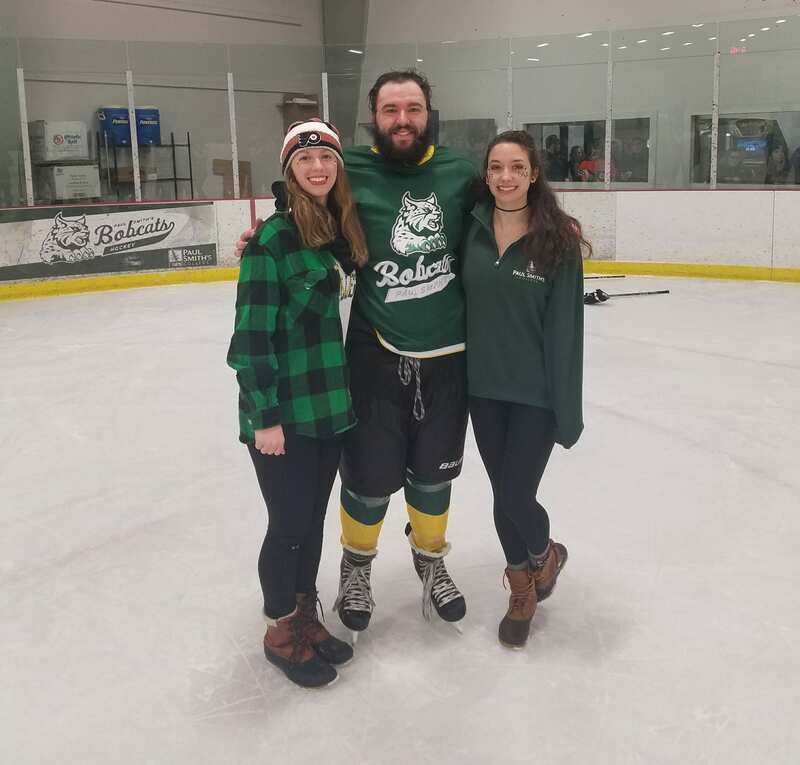 Connor asked his sister, who had been attending Paul Smith’s for a year before he transferred in, if there was any sort of organized hockey at the college. She explained to him that there used to be an official team back in the 90s, but since then it has died away and there wasn’t much beyond occasional pond hockey happening. She also told him that in 2015 the Women’s Rugby Club was organized and very quickly came into being, so maybe he could try to do the same for hockey. He immediately got to work asking about starting a club on campus. When he explained that he wanted to start a hockey club, he was immediately shot down since it was “not in the budget”. He tried to make a few suggestions on how to get around the financial issue, but was continuously discouraged, and went through the remainder of his first year at Paul Smith’s only spending time on the ice during public skating hours at the Saranac Lake Civic Center. Having to accept a lackluster “no” for an answer after the amount of ambition and determination Connor had built up didn’t sit well with him. The next fall he returned to school with the intent of working around the “no’s” and “isn’t in the budgets” to make the Hockey club happen. It all started with a piece of paper on the corner of The Wildlife Society’s table at the club fair. Connor had made an impromptu hockey club sign-up sheet and by the end of the day, it was filled with names. The rest of the hard work that followed, the nitty gritty planning, networking, and scheduling that Connor worked out with faculty, students, and community members, brought the Hockey club to where it is today. That’s the formula for achieving things in a small community; when you don’t have enough people in numbers, or extra funds readily available, you make up for it with a few great people, passion, determination, and not accepting “no” for an answer. Now the college has hired coaches and is working toward having an official Paul Smith’s Hockey team. This wouldn’t be a reality today if no one ever stepped up, pushed through, and built the foundations for it all to happen. Now, finally, hockey is back at PSC. 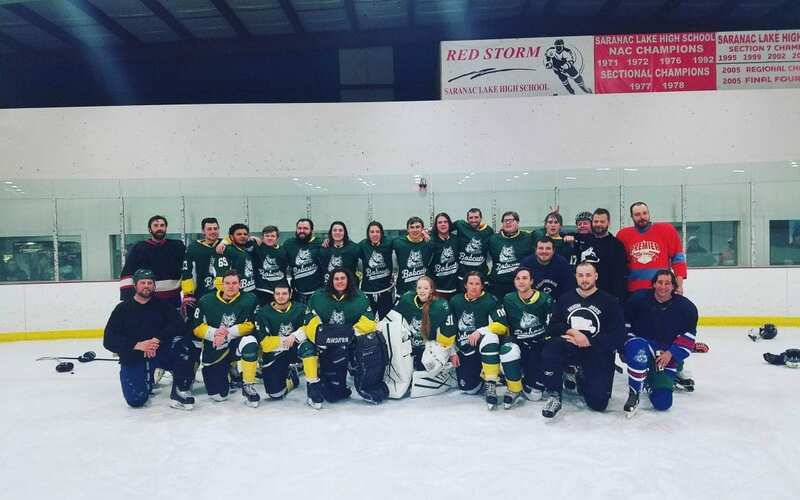 As a former member of the PSC men’s hockey team, I am really glad to see this program up and running in the right direction! And PS, there was a team thru the early 2000’s, I was on it.